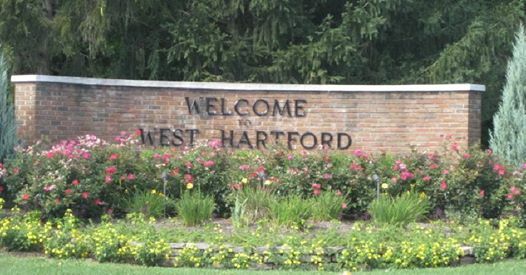 West Hartford is home to the largest Jewish community in Connecticut. It is an affluent city located two hours from both New York City and Boston. It has a population of roughly 64,000 residents, mostly young to middle-age families, which has shown steady growth. It has an area of 22 square miles, most of which is encompassed by the town Eiruv. It has a Town Manager and Town Council form of government. It is a beautiful town that is home to many historical attractions and parks. There are two Hebrew day-schools in West Hartford. 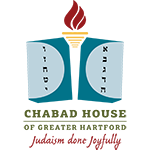 The Hebrew Academy is a Torah-Mesorah branch and Solomon Schechter is a Conservative school. West Hartford is also home to the Hebrew High School of New England, a co-ed 9-12th grade school that offers curricula in both Hebrew and English studies. While West Hartford is home to very few hospitals, there are several established medical institutions immediately adjacent to us. In Hartford there is Hartford Hospital and S. Francis Hospital, both of which are well known for their cardiology work. Farmington is home to John Dempsey Hospital. In West Hartford itself, on the Bloomfield border, one will find the Hebrew Home and Hospital, which offers both assisted living and hospital services. Kosher food is available in all of these establishments upon request. Deli Items & Bakery Items: The Deli at Big-Y Supermarket carries a wide variety of meat products and packaged kosher meals. The bakery items are Pas Yisroel but they are not Cholov Yisroel. Both pareve and dairy items are available. Milk Products: The Crown, Tangiers and Big-Y all carry certain Cholov Yisroel products, Big-Y Supermarket carries Cholov Yisroel milk. If you make a request at the Chabad House unavailable items can be purchased for you in New York. Sundries: All the local grocers carry a wide array of various kosher products. The Crown has the widest selection. Tangiers and Cosmos are also good for specialty foods. Mikveh Bess Israel, located at 61 North Main Street, is the only mikveh in the Hartford area. It is used by people all-throughout the week for the toiveling of dishes and for Taharat HaMishpacha. Men use the Mikveh before Shabbos and Yom Tov, but special arrangements can be made for usage during the week as well. West Hartford has an eruv that is checked and maintained by the West Hartford Eruv Committee. The Eruv is checked every Friday (or Erev Yom Tov, if a Yom Tov falls on a Friday), and the status of the Eruv is available on the Eruv Hotline: 860-232-6417.